Welcome to Luv 2 Dance Studio! Please complete the following registration form. HOURS: Mon-Thurs 4:00-7:00 p.m AND Tue/Wed 9:30-11:00 a.m. Please save your Credit Card or Debit Card Information in your Parent Portal. It does NOT automatically bill your card when registering for a class, event, etc.. YOUR CARD INFORMATION IS SECURED AND KEPT CONFIDENTIAL. NO STAFF IS ABLE TO VIEW YOUR CARD DETAILS. *CREDIT OR DEBIT CARD - Visa, Disc, MC, AMEX without any additional fee applied. *BANK AUTO-PAY/BILL-PAY SERVICE - payable to Luv 2 Dance Studio. *CHECK: payable to Luv 2 Dance Studio. *CASH - place in a sealed envelope with your dancers FIRST & LAST name included. *ONLINE within your Parent Portal. Link may be found on our HOME page at www.luv2dance.com. (THIS PAYMENT METHOD IS HIGHLY RECOMMENDED). *IN-PERSON/STUDIO OFFICE: during office hours, Mon-Thurs 4:00-7:00 p.m. & Tue/Wed 9:30-11:00 a.m. (dance season, Sept-May). Summer Office Hours vary. *TUITION DROP BOX: located at the front counter at our Studio Office. Make sure your dancers FIRST & LAST Name is included on payment. *BY MAIL: See mailing address listed below. TUITION DUE DATE = 1st of each month, no later than the 10th. PROGRAM FEES DUE DATE = 1st of each month, no later than the 10th. (unless otherwise notified). LATE FEE = $25 applied on the 11th of each month. PAYMENT PERIOD LATE FEE = $50 (in addition to monthly Late Fee). RETURNED CHECK FEE = $35 fee will be charged for any returned checks. PLEASE PAY ON TIME to avoid late fees and a delinquent account status. There are NO credits or refunds for lessons missed due to sickness, short term injuries, holidays, weather, extra performances, spring recital, and showcase. PAYMENT PERIODS: Your account will be monitored by Payment Periods. At the end of each payment period (3 months), if your account is not paid in full, there will be an additional $50 LATE FEE applied. This is in addition to any $25 monthly late fees that have been accumulated. At that time, your dancers Director/Instructor(s) will be notified and your dancer will NOT be allowed to participate in any program class(es), Recitals, Competitions, until the account is in good standing. If we are unsuccessful in collecting the unpaid balance at that time, your account will be considered DELINQUENT. DELINQUENT ACCOUNTS (90 DAYS +) will be sent to a collection agency and your account with Luv 2 Dance Studio will be set to 'inactive' status. This applies to any L2D Account that reaches a delinquent status. In this case, your dancer will NOT be allowed to participate in any class, training, competition, performances, and/or recitals, until your account is paid in full and in good standing. Any fees associated with the collection agency will be your responsibility. ALL FEES & COSTS ASSOCIATED WITH COMPETITION, PERFORMANCE, AND/OR TUMBLING CLASSES, OR ANY OTHER CLASS/PROGRAM HOSTED BY LUV 2 DANCE STUDIO must be paid on time, according to the payment schedule that you will receive via e-mail when the dance season starts. Accounts must be paid in FULL with a $0.00 balance due in order to receive any costume. This applies to our Competition and Performance Accounts. Your dancer will NOT be able to perform or compete if your account is NOT paid in FULL at time of scheduled performance OR competition. You will still be responsible to pay for ANY associated fees, including, but not limited to, costume(s) and/or Choreography, Competition, Showcase, Convention, and/or Recital Fees, even if your dancer is NOT allowed to participate. If your dancer drops from a COMP Routine, there is a $60 DROP FEE applied for EACH routine they may drop from, after your COMP Contract is signed. Tuition is due for each month each program is in session. It is NOT determined by the number of classes offered within each month. since it varies for each day of the week, holidays, school recesses or breaks ,early-out or other no school days. Tuition reimbursements are NOT given for cancellations due to unforeseen circumstances, such as any type of natural disaster, weather cancellations, building or facility issues, or emergency closures. Classes cancelled may not be rescheduled. It is at the discretion of the Directors and/or Staff involved. I agree that I am responsible for all associated costs with any program I enroll my child in. I am also aware rates for tuition, fees, and any other associated costs may be increased annually, at an approximate rate of 5%. In addition to monthly Tuition, I am aware that other costs and fees are associated with each program offered, including, but not limited to the specific fees disclosed in this agreement. ANNUAL Tuition Payment Option: Annual Tuition must be paid in FULL on or before last day of September for the current dance season (9 months total) to receive 10% off. You will need to set your account payment E-Schedule to: ANNUAL TUITION 10% so that your adjusted tuition rate can be applied to your account. NOTE: Due to the expenses and planning that our programs require, we are not able to provide CREDITS or REFUNDS for any missed classes, despite the reason for missing. This includes lessons missed due to sickness, short term injuries, holidays, weather, extra performances, spring recital, and showcase Any extenuating circumstances need to be handled through accounting, by contacting myaccount@luv2dance.com. and let your Director know the circumstances. Tuition rate is the same for any classes scheduled on any day of the week assigned (ex: Monday tuition is the same as Tuesday, Wednesday, Thursday, Friday classes). Tuition rates are based on the number of dance hours a student is enrolled in. Tumbling hours are separate and are not applied to the total hours attending for any dance class(es). A $5 discount is provided for any dancer that also enrolls in a tumbling class, which is then considered an add-on class to dance. This discount does NOT apply if a student drops dance and attends only tumbling. Normal tuition rates will then apply. Scheduled NO DANCE CLASS DAYS are available on our Calendar, at www.luv2dance.com. L2D generally follows the Davis School District Traditional Calendar for No School Days. There may be some exceptions for Early-Out School Days, and/or Competition Extra Practices, Events. -Recital Fees = Christmas ($20) AND Spring ($30). Admission is FREE for both Recitals. -TWO Costumes, one for each Recital with 1 pair of Performance Tights (WILL NOT EXCEED $130). This price does NOT include Dance Shoes. -Dance Shoes. Specific dance shoes are required for certain classes within the program. Once the specific dance shoes have been assigned, this information will be available on our website, at www.luv2dance.com. Dance Shoes are required for dance class participation, as well as, Recital Performances. -Optional Spring Class Picture = $20 and up. Package Pricing will be provided at time of scheduling, in the Spring. WE LUV OUR STUDIO... and we want to keep it looking nice for all those who utilize our facility each day or week. We have a few rules to help us do this. We ask each parent/guardian to help us in keeping our facility damage free, clean, and well cared for. DO NOT LEAVE YOUR CHILDREN UNATTENDED, especially those with children waiting for a dancer at the Studio. Studio rooms not being utilized are NOT free to use or let children run free in. We are NOT responsible for any accidents or injuries which may occur to you or anyone in your party, while on Studio premises. Children are NOT allowed to roam the studio rooms or halls while parent is waiting for a dancer. Your children must be with you at all times when at the studio. We ask that you talk to your child about helping us take care of our Studio Facility and Grounds. Unacceptable behavior may include touching displays, pictures, windows, front counter, television, mirrors, bars, walls, within the studio. In addition, climbing walls, furniture, shelving, etc.. is damaging and dangerous. On our studio grounds, we do not want any students climbing on the rock, flag pole, trees or hang on the front doors of the studio. Please use appropriate trash receptacle for any waste. Any damages occurred by you, your dancer(s), your other children, or any persons with your party, you will be responsible to pay for. If your Dancer purposely damages or steals any studio property and/or may result in immediate dismissal from our studio. We appreciate your support and help in communicating these expectations to your child(ren). Thank you! WATER is ONLY allowed at the Studio. Please do not send soda, juice, etc.. with your dancer. Healthy Snacks are encouraged. NO FOOD allowed in studio rooms. We highly recommend that dancers leave all valuable belongings at home. This includes, i-pods, cell phones, jewelry, etc... Luv 2 Dance will NOT be held responsible for these items whether they are lost, damaged, or stolen. CELL PHONES are NOT allowed in any dance class. If your dancer has a Cell Phone or Electronic Device in Class, the Instructor or Directors may take the Cell Phone or Electronic Device and have it held at the Office until class has ended. The Instructor, Director, or Office Personnel will NOT be responsible for any loss or damage electronic device or cell phone. For special circumstances, please communicate with your dancers Director. Items left at the studio will be donated to local charities/DI on a bi-monthly basis. It is important that your student arrives to class on time and is picked up on time. Luv 2 Dance Studio is not responsible for before or after class care for students. Any Staff Members and Instructors are not responsible for before or after class care for students. Most teachers will have another class back to back with your child's class and will have to start the next class right on time, so please make sure to pick up your child on time. For small children, please walk into the studio and pick up your child at the door of the dance class. 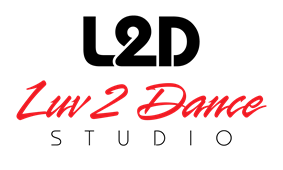 Rides to and from dance will not be provided by any of L2D's staff and L2D is not responsible for any accidents, injuries, or problems that could occur in transporting dancer(s) to and from dance classes, practices, and/or shows or competitions. Weekly class attendance is encouraged, so every student may improve. Competition students are a part of a team, and are required to be at ALL classes and extra practices in order to perform. Please follow rules regarding attendance provided at COMP Parent Meeting. Please only miss classes when absolutely necessary. Communication with your dancers teacher AND DIRECTORS is highly recommended. If excessive absence or tardiness does occur, it is at the discretion of the staff whether your dancer will be allowed to perform or participate in the dance. Good Attendance is VERY important! If you choose to withdraw from any program at our studio, you will need to send a message to myaccount@luv2dance.com. 30 Days Notice is required. Once your request is received, your student will be dropped from a class or classes. Tuition reimbursement may not be provided for less than 30 days notice from the date of email request. While it is always good ethics to let your students Instructor know if they will be dropping from the class, any verbal notification provided to any member of our staff is not considered withdrawal notice. You must email us with this request. Your student will then be dropped from the requested class and/or program, and the Instructor will receive an email notification. If your are withdrawing from the studio, we will place your account as inactive. All balances need to be paid in full to avoid late fees, delinquent fees, and/or collections processes. If you choose to withdraw your student after costumes have been ordered or any fee commitments have been made, reimbursements will not be provided. For those who drop from the Competition Program, please communicate with your program Director. Fees associated with the Comp Program may still be due, including, but not limited to, choreography, costumes, competitions, conventions, etc.. In addition, there is a $60 Drop Fee PER routine for Comp Dancers. By Registering with Luv 2 Dance Studio, you are agreeing to all terms and policies set by the Studio, listed within this policy and any fees or policies implemented during the dance season, and agree to pay all fees, tuition, costs associated with the program(s) your dancer(s) may be enrolled in, by scheduled due dates. I agree to any late fees, collection fees, that may be applicable if I do fail to pay my account by the scheduled due dates. I also understand that if my account becomes delinquent (90+ days past due), my student will NOT be allowed to participate in any part of the program until my balance is paid in full. I also understand that my account must be paid in full to receive any costumes AND to participate in the Showcase and/or Recital. I understand that it is at the discretion of the L2D Administration and/or Directors, to not allow my student(s) to participate in any part of the program if my account is past due or attendance is excessive. I have read the statements regarding the policies and procedures for Luv 2 Dance Studio. I agree to the policies and accept the terms in full.